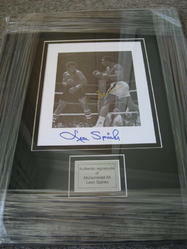 Muhammad Ali and Leon Spinks signed by both. 10x8 black and white photo that has been hand signed by former Heavyweight Champions of the world Leon Spinks and 'The Greatest' Muhammad Ali. 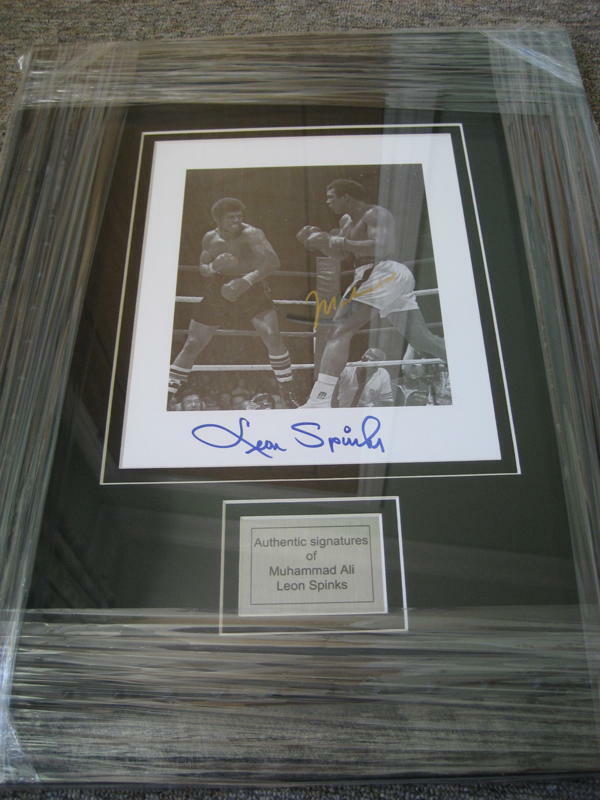 Pictured in one of their iconic bouts which they both won one each, Ali has autographed the photo extremely clear in gold marker while Spinks has signed in blue marker.